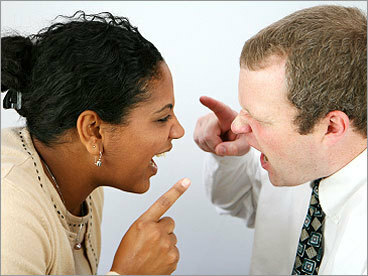 Conflict in the workplace has been around since the beginnings of organizations. There are often differences that lead to smoldering concerns and damaged relationships over time. Some are addressed quickly, and some are not addressed for a variety of interpersonal reasons for weeks or months. 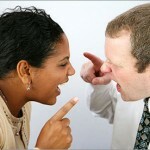 The delay in conflict resolution is never a positive factor for productivity. Often when these individuals are in the same room issues arise. In every company across Indiana and around the country, diversity of both thought and opinion is essential for change and growth. The exchange of skills, knowledge and viewpoints help to achieve both goals and objectives. And no workplace is healthy when Groupthink (Irving Janus) is present and everyone is agreeing all the time. Consensus decision-making with little conflict always overrides common sense. Leadership and management have to understand all views. Although no one likes being Judge Judy, if the issues are not facilitated and resolved properly, workplace violence can take place. Managing conflicts and resolving complaints are an integral part of our job descriptions. Mismanaging conflict can lead to employee frustration and that will deepen the cycle of miscommunication. In most circumstances, conflict will never go away if ignored. So look at the big picture. Find the problem. And facilitate a solution that at least tempers the relationship. Conflict is never fun, but without differences, nothing worthwhile can ever be accomplished. It is how we manage that influences people in a positive way. Mr. Carnegie was right all along about that.